When will be Survivor next episode air date? Is Survivor renewed or cancelled? Where to countdown Survivor air dates? Is Survivor worth watching? Eighteen to twenty castaways will compete against each other on Survivor. 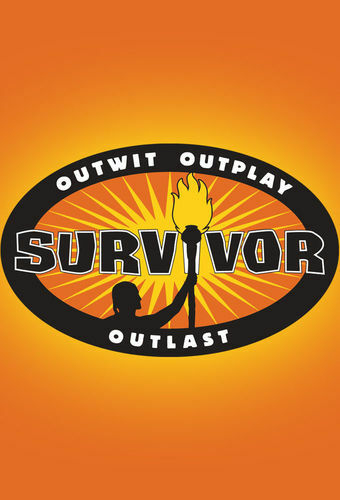 All castaways will compete to outwit, outplay, outlast and ultimately be crowned Sole Survivor. Ten ultra-fans of the show compete against 10 former castaways on the Caramoan Islands. The fans comprise the Gota tribe, while the favorites make up the Bikal tribe. Following the first elimination of the season, Brandon targets Dawn as the leader of what he sees as an unsuitable vote and matchless teamwork and disorganization from one tribe leaves little room for competition during a tiered Immunity Challenge. Corinne and Malcolm's special bond leads to a discovery that could liven up the game, and alliances shift and unrest ensues just before an intense Tribal Council. After suffering a medical emergency, one Castaway's ability to play the game is in danger. A shake-up with the Tribes creates chaos and new alliances. Meanwhile, the game is thrown off-balance when one Tribe's change results in a strength disparity between Gota and Bikal. As the newly formed Bikal Tribe continues to struggle physically in challenges, they grow increasingly tired of Phillip's attitude. Meanwhile, over at the Gota Tribe, Reynold shares confidential information about his hidden Immunity Idol that could change his game. All bets are off when Bikal and Gota merge, as castaways reunite to plot a potential blindside in the new tribe. Also, with individual immunity now on the line, castaways must stomach exotic foods of beetle larvae and brains during a classic "Survivor" food eating challenge. One castaway learns a secret that will potentially change the game, and chaos ensues when confused castaways are undecided on whether to vote out an easy target or blindside a big threat. The popular food auction returns and the Three Amigos concoct a lie in attempt to take control of the game. The winner is revealed as the 20 castaways reunite in Los Angeles to discuss the season. Survivor next episode air date provides TVMaze for you. EpisoDate.com is your TV show guide to Countdown Survivor Episode Air Dates and to stay in touch with Survivor next episode Air Date and your others favorite TV Shows. Add the shows you like to a "Watchlist" and let the site take it from there.